As part of our commitment to providing the best service for our customers, we conduct an annual customer satisfaction survey. It takes into account the experiences of our customers across all of our odour services. We carry out the survey at the beginning of each year and we are very pleased to now share the results for 2019. Our thanks go to everyone who participated. It really does help us to understand how we’re doing from your perspective. By fully assessing what we’re doing well and where we can improve, we can continue to provide a first class service for you. We strive to deliver best practise across all areas of our business. While this annual survey is important, we are keen to hear your feedback all year round. If you’d like to let us know how we’re doing, you can do so here. It’s a short survey which takes less than five minutes to complete. Alternatively, please do get in touch with any of the team to share any comments you have. Once again, you rate our odour services very highly. A huge 98% of respondents rated our odour services as either good or very good, an increase of 5% compared to 2018. We’re absolutely thrilled to have received such positive feedback across our range of odour services. Very good, offers good advice and quick revisions. Received good service which resulted in my return business. Silsoe Odours are quick to respond to requests/jobs. Found the training very good – it’s done in a lovely environment. If you’d like to read more customer comments, please visit our testimonials page. Last year, you told us you’d like to see improvements in two specific areas; our accreditations and our communication. We took notice, and here’s what we’ve done about it. Our Director, Robert Sneath, holds an MCERTS Personal Competency Standard for Manual Stack-Emission Monitoring. James Sneath is also working towards this and should hold the same accreditation within the next few months. In addition, we are working to secure UKAS-accreditation for on-site sampling and expect to receive confirmation within the next 2-3 weeks. 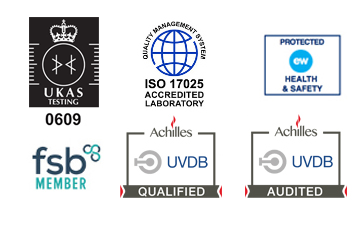 Not only that, but we’ve also gained a number of new accreditations for our training course. The Odour Study Day is now CPD-certified, endorsed by the IAQM and is accredited by CIWEM. Our team has contributed to industry publications, such as Envirotec Magazine, Organics Recycling and AD&Bioresources News. We’ve been much more active on social media and via our email newsletter, sharing updates about our business, our day to day activities and general industry information. Please follow us on LinkedIn or Twitter, or sign up for our email newsletter to keep up to date. We’ve also started sharing quarterly snapshot videos of our team in action. We have made significant changes to our website. Specifically, we’ve made our odour services offering clearer and more accessible, and added testimonials from our customers so you can see for yourself what they think about us. Please do get in touch if you think there’s anything else we can work on. In addition, our communications team have contributed regular blogs containing news about the industry and Silsoe Odours. Once again, thank you for your support in sharing feedback about our odour services with us, it really does help. If you’d haven’t yet done so, don’t forget you can leave feedback here, or get in touch with the team at any time. Victoria joined Silsoe Odours at the start of 2017 and has made a huge impact, now leading our customer service and operational practices.